Anant joined Capstone Headwaters after several years in investment banking sourcing capital for early and growth stage companies. Prior to investment banking, Anant worked with Sun Mountain Capital, a $90 million New Mexico-based co-investment fund focused on emerging technologies and economic development within the state. Prior to that, Anant worked as a Senior Associate for Mesa Capital Partners, a private equity fund which invests in growth opportunities in the service, manufacturing and technology areas. 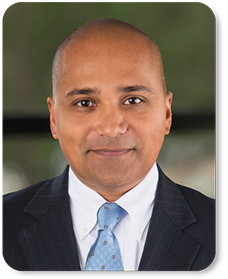 Anant began his private equity career with MWV Pinnacle, a $23 million fund mandated to invest in minority owned or managed companies. In addition to his investment banking and private equity positions, Anant has also worked in several corporate roles, including as CFO for an early stage transportation technology company and as Director of Corporate Development and FP&A for two middle market private equity sponsored companies.